MOBI RED IRON is a Cross-Body bag, or better… the first real “Dress-bag” made of a “Tecno-Couture” resin-treated Ramiè fabric with a metallic red color effect. A fashion trendy material, light, resistant with a nice touch. A fabric that changes the intensity of color with different light exposure. Unique for its style, shape and size. Design, functionality, versatility and lightness combined with a contemporary fashion style. Inseparable for an everyday use; designed and created to ensure maximum comfort. 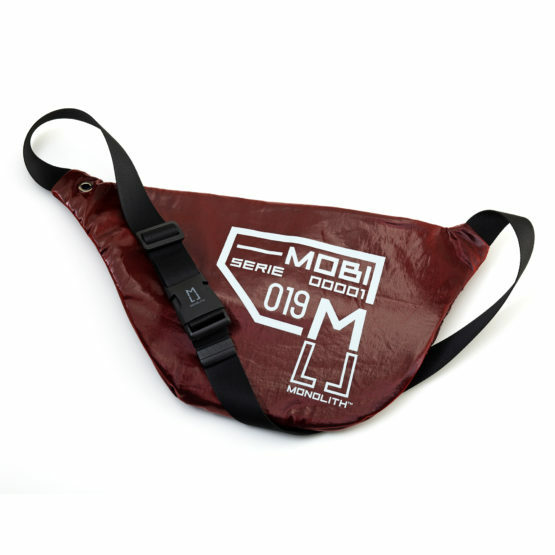 MOBI adapts to its contents and the way you wear it. Outer fabric: 100% RM + 38% PA resin. 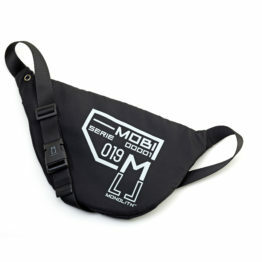 Shoulder strap: 100% PL black / adjustable. Buckle: Quick release in matt black nylon. 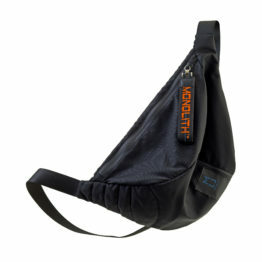 Main pocket closure: Nylon coated zip. Front pocket closure: Nylon coated zip and leather zip puller. Main zip puller: Monolith Exclusive in metal / leather / polyester. Internal details: Two inside pockets + brass key ring on a gros-grain ribbon. Front quilt: 100% PL. Padding. Dimensions and weight: 52X26X20 cm LxHxW – 315g. NB: details’ images (inside pocket, external zip and eyelet) are for illustrative purposes only, therefore they may not correspond to the specific model. RETURN POLICY – Refunds or exchanges for only full priced Items, can be requested within 14 Days from delivery. Products must returned unused, free from steins and with original packaging. Shipment costs are on charge of buyer. TAXES – All prices are in EURO and include VAT (UE) – Taxes, Custom Duties are on Charge of buyer (Extra UE). For additional informations please refere to the GENERAL TERMS AND SALES CONDITIONS.